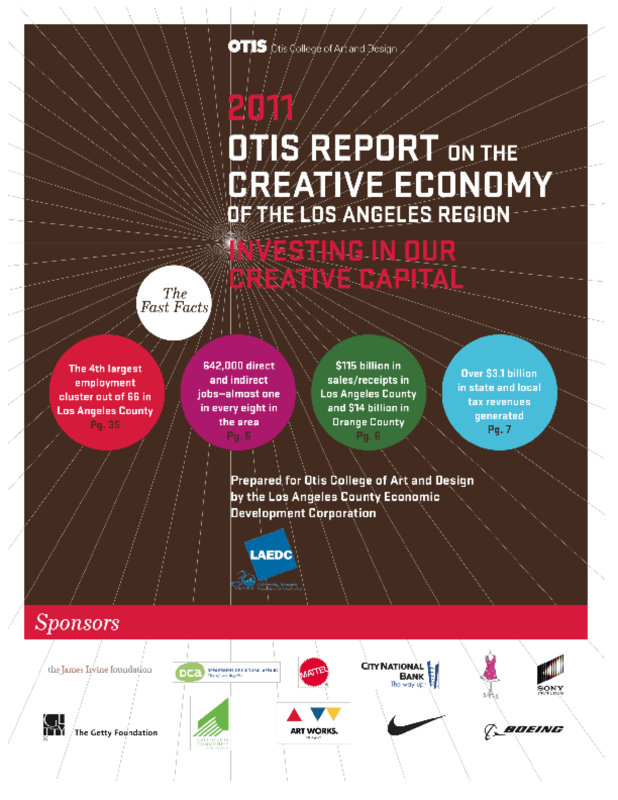 Examines the combined economic impact of the arts, design, and entertainment industries in Los Angeles and Orange counties, including trends in employment, salaries, revenues, and nonprofit arts groups. Offers projections for 2015 and industry snapshots. Copyright 2011 Otis College of Art and Design.